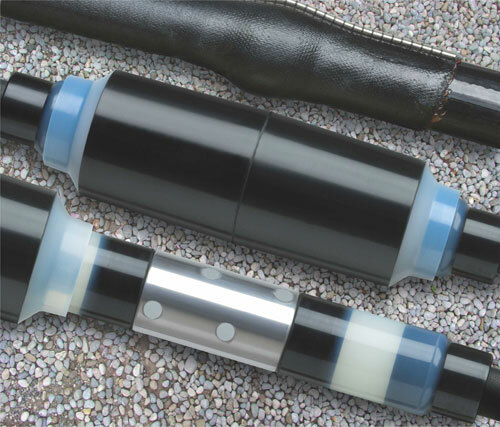 The elastomeric Raychem 72 kV joints are suitable for all polymeric cables and can accommodate various cross-bonding shield break and external grounding arrangements. Simplified installation : No specialists required. A qualified medium-voltage jointer will be trained in one day. Pre-engineered wall thickness : All product dimensions are set and checked at the factory before the product is shipped to the field. Time savings : Due to short installation time outages are kept to a minimum in repair situations. 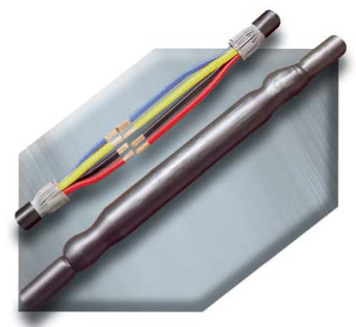 Using its knowledge and experience in the field of material design, Raychem has pioneered some of the most important technical advances in cable accessory technology. Link boxes are used with cable joints and terminations to provide easy access to shield breaks for test purposes and to limit voltage buildup on the sheath. Lightning, fault currents and switching operations can cause over voltages on the cable sheath. The link box optimizes loss management in the cable shield on cables grounded both sides. • Sheath voltage limiters (SVL).